Hi Friends! Mom played fetch with Lola and I in the backyard today, I double dog dare you not to like our movie. 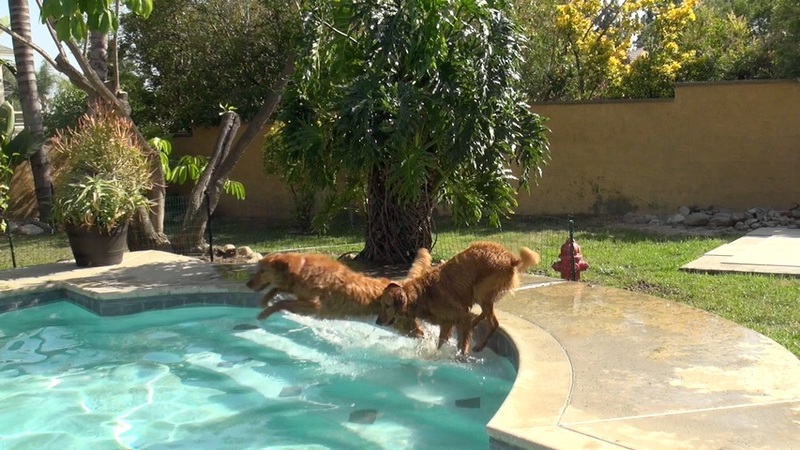 We had a ton of fun chasing the ball and jumping in the pool. As you can see our training is going swimmingly and we’ll be ready to hit the road and see the sights pretty soon. Hopefully we’ll get to meet some of you on our journey. That would be so cool! 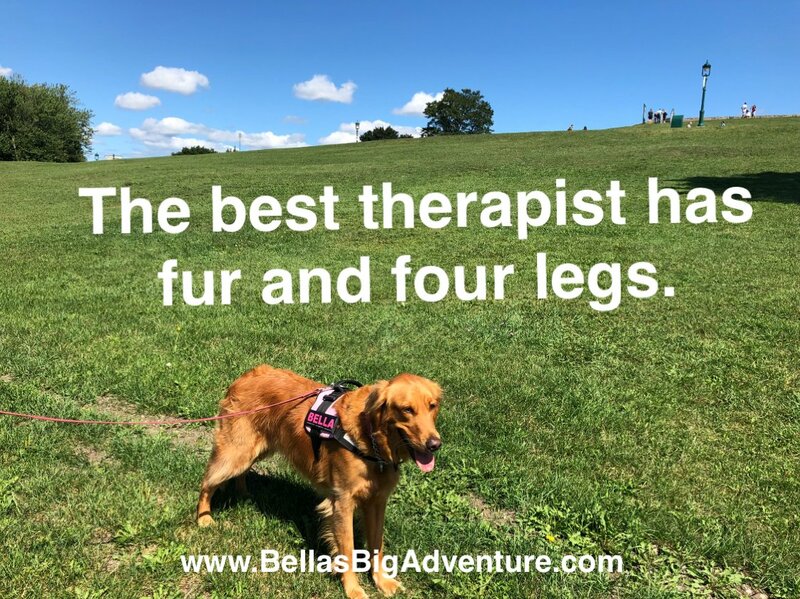 Wait till you see Lola jump off the stairs into the pool, wow! You go Lola! We learned to swim from Dad as babies and now we are really comfortable around the pool. If your pups aren’t great swimmers and they haven’t been taught how to get out of the pool like me and Lola, it’s best to keep an eye on them and not play fetch around the pool. Doggies can drown too you know, so be careful around the pool with your pooch. Wait till you see how much fun Mom is having playing with us. It’s one of her favorite things and always puts her in a great mood. We love our Mom and she loves us back! She’s pretty awesome to play with and along with Dad, she takes us on some really fun adventures. 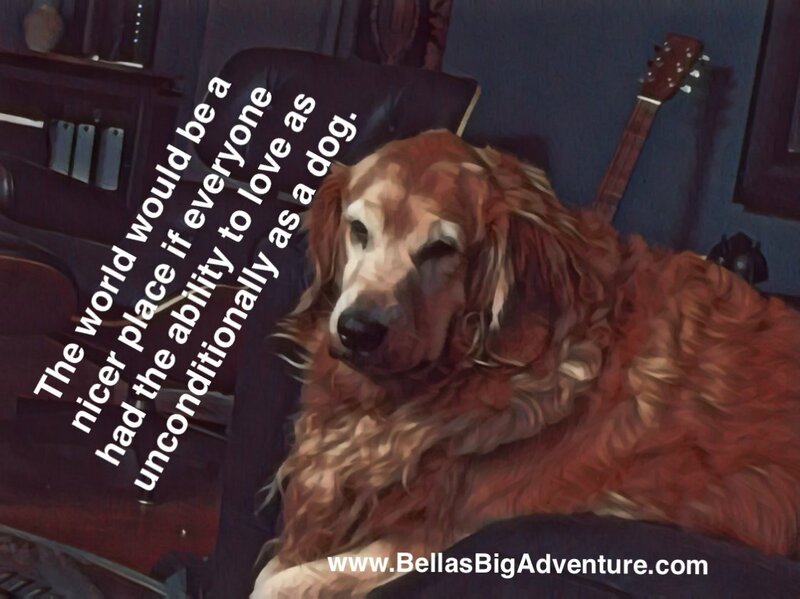 We sure are well traveled little Golden Retrievers already, but we can wait to go on our Big Adventure at=round the country this year! 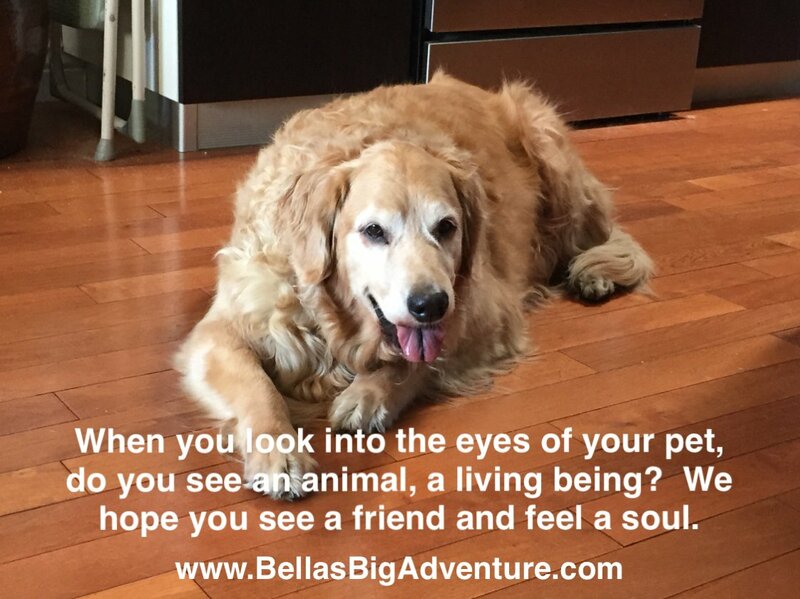 Bella’s Big Adventure is the story of two Little Golden Retrievers whose travels take them all over the country. They visit places they’ve has always wanted to see and they make new friends along the way. Please comment and like our videos, we love to hear from our friends!